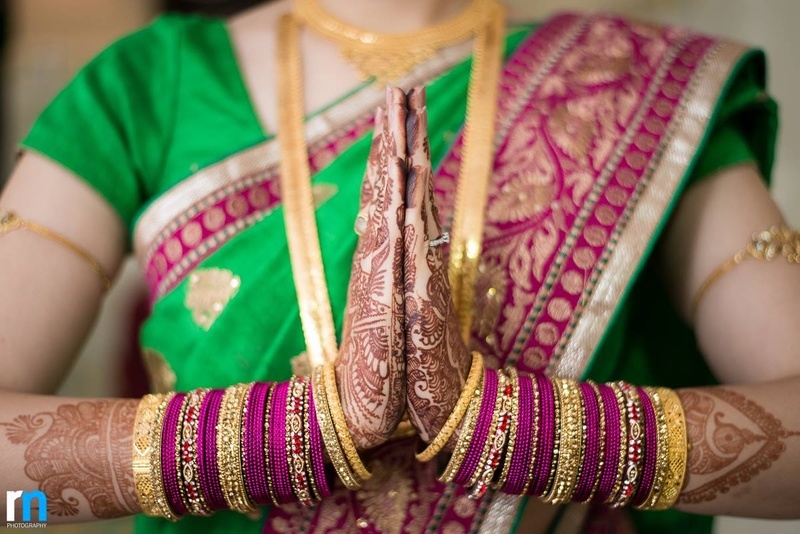 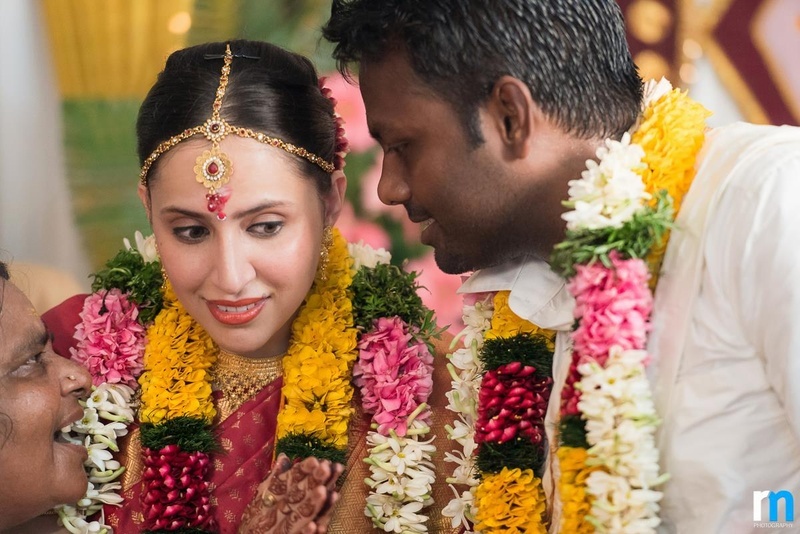 An all-out traditional wedding where two cultures were joined together in love. 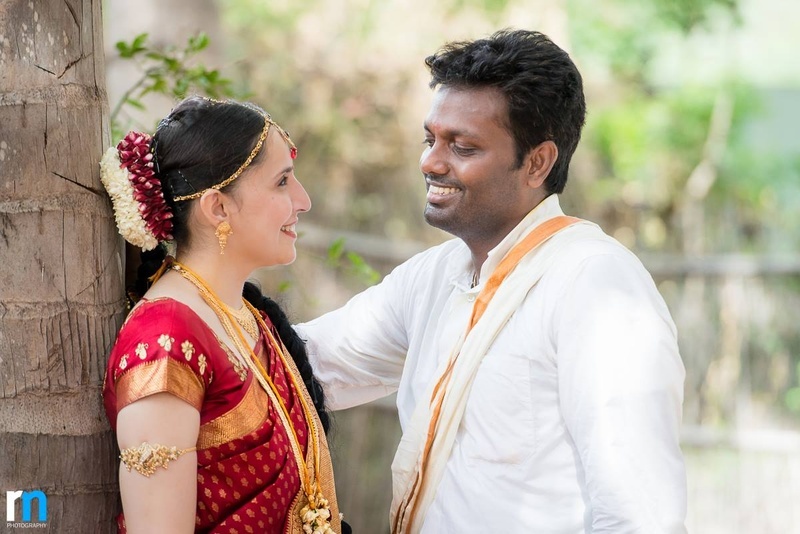 Shveta, a complete metropolitan girl who was born in delhi and grew up in Bombay with the24x7 rush of city life in her blood, took her Saat Pheras with the uber laid back, Prasad who was the embodiment of chill. 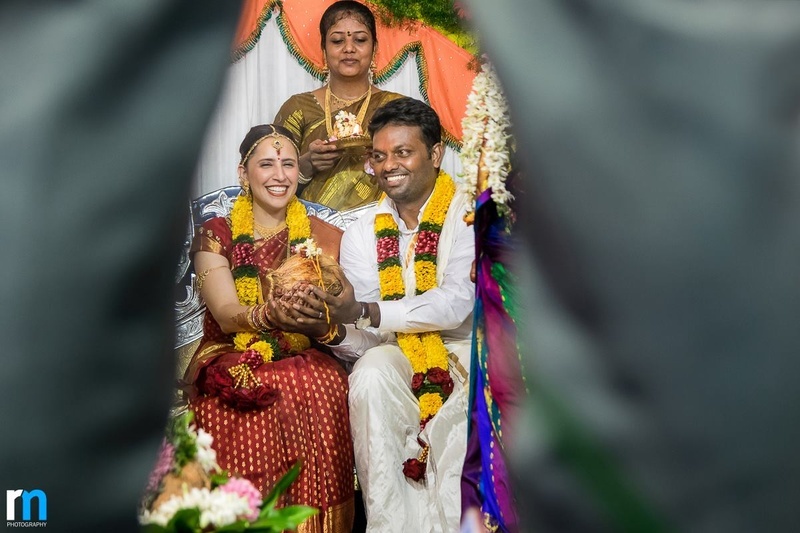 “At a time when newspapers are awash with issues of language, politics, we two decided to bridge the gap between Vannakkam and Namaste in our own way. 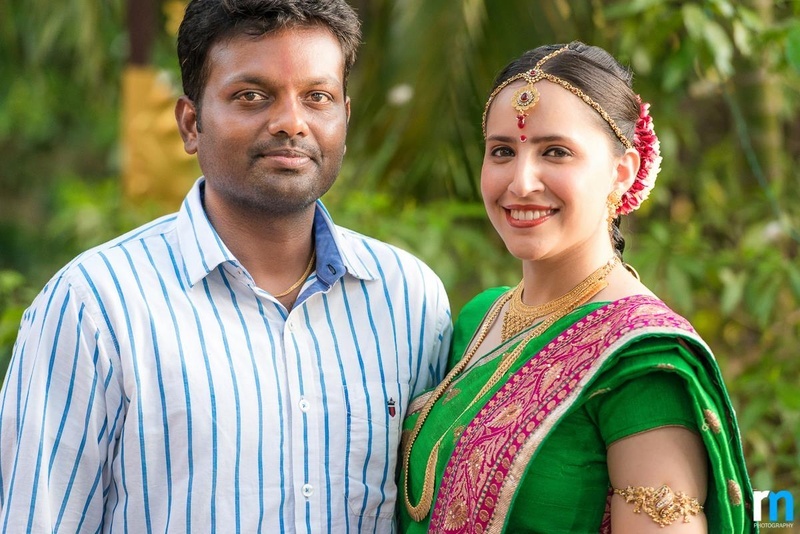 Mind it(!) 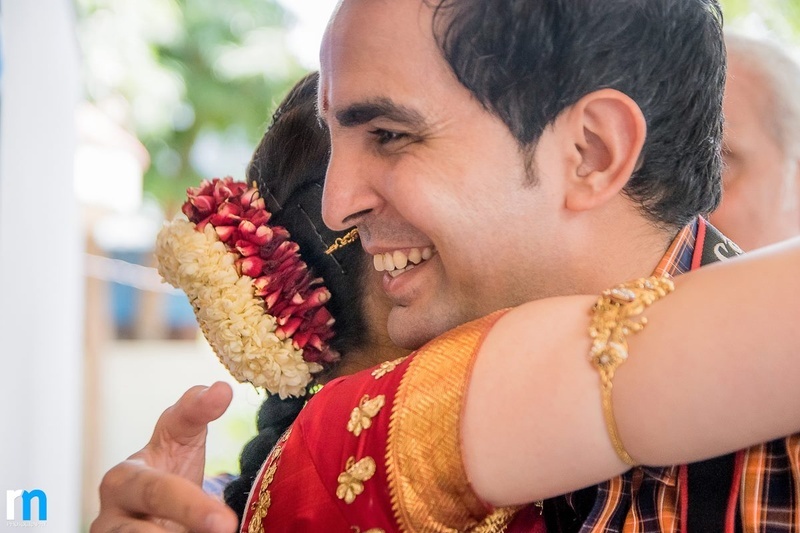 not for a social cause though. 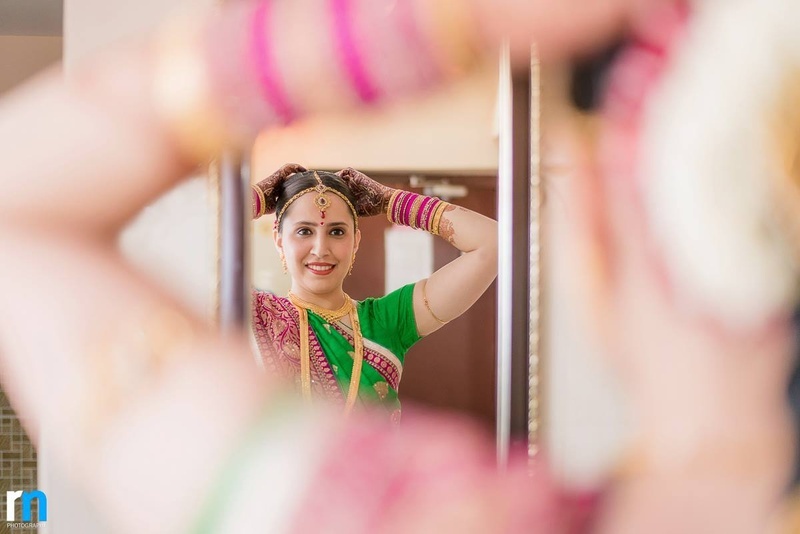 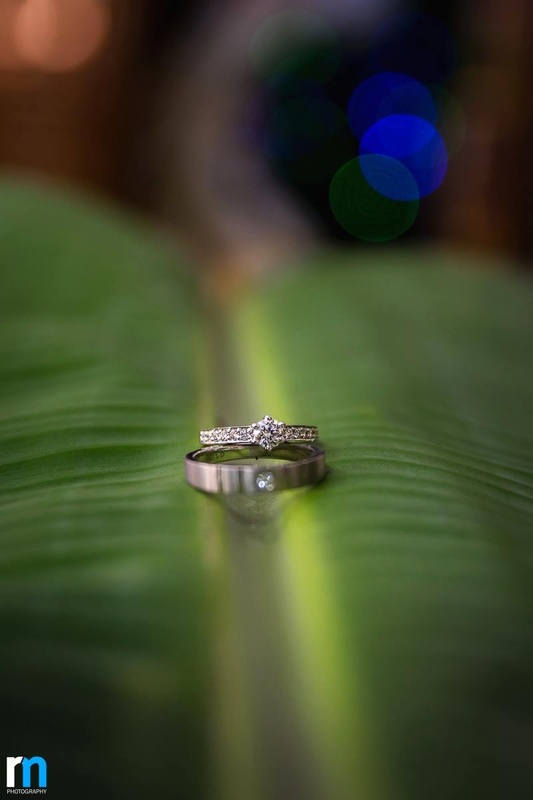 I like to plan and organize ... he likes to be more spontaneous and take things as they come.”, Says Shveta, the stunning bride. 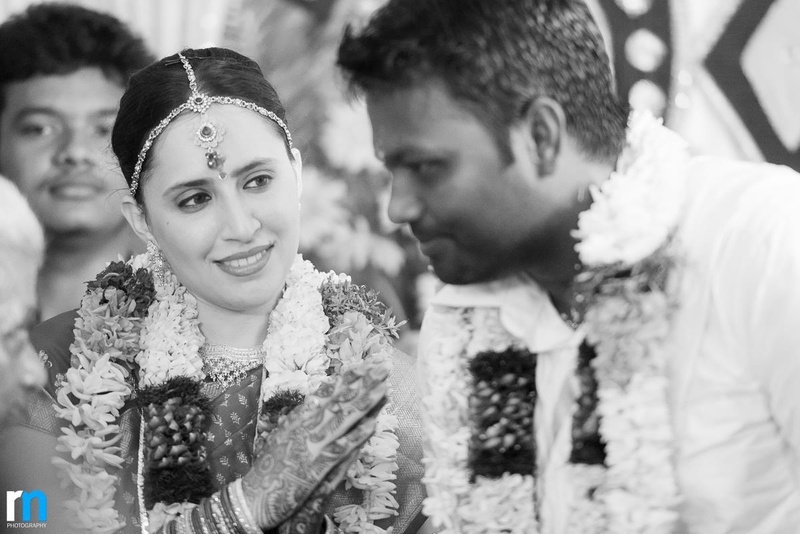 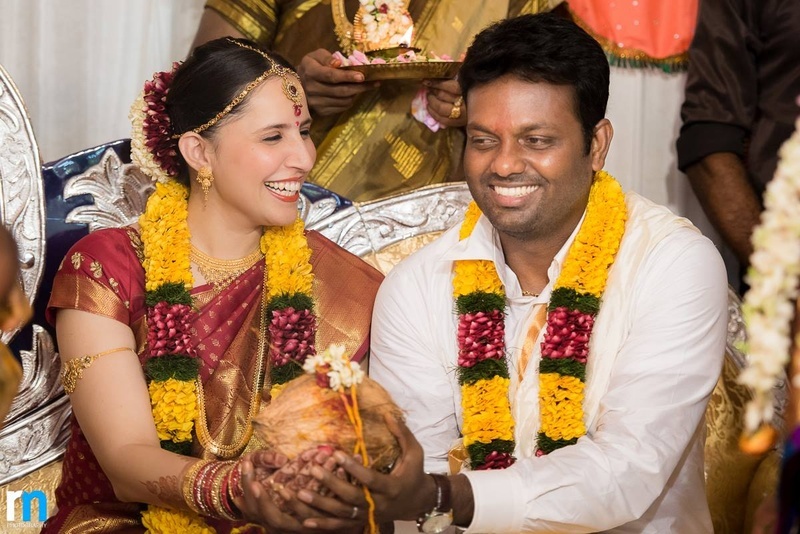 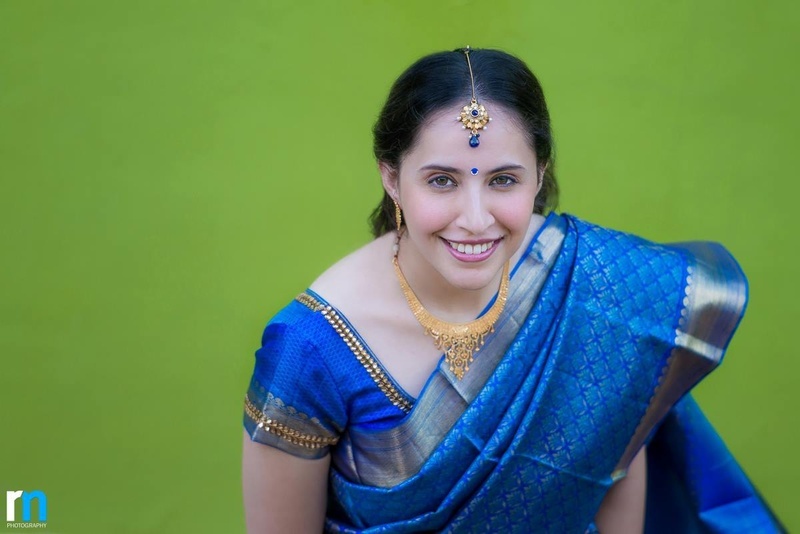 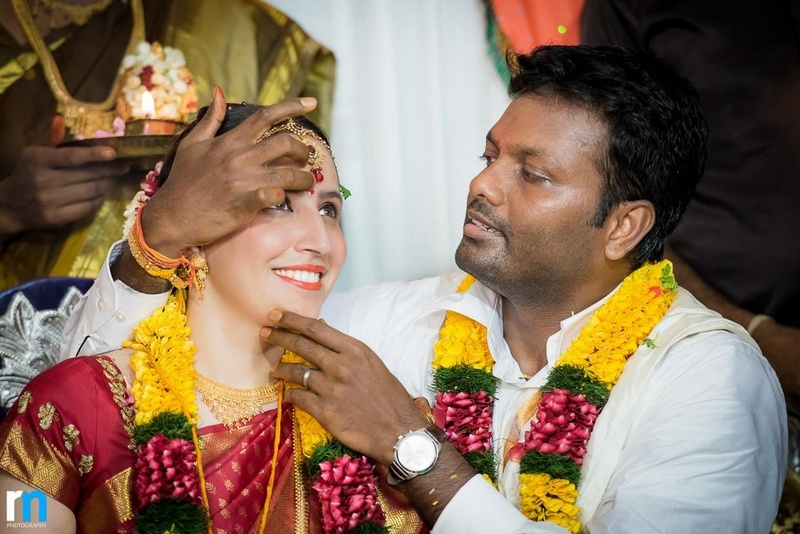 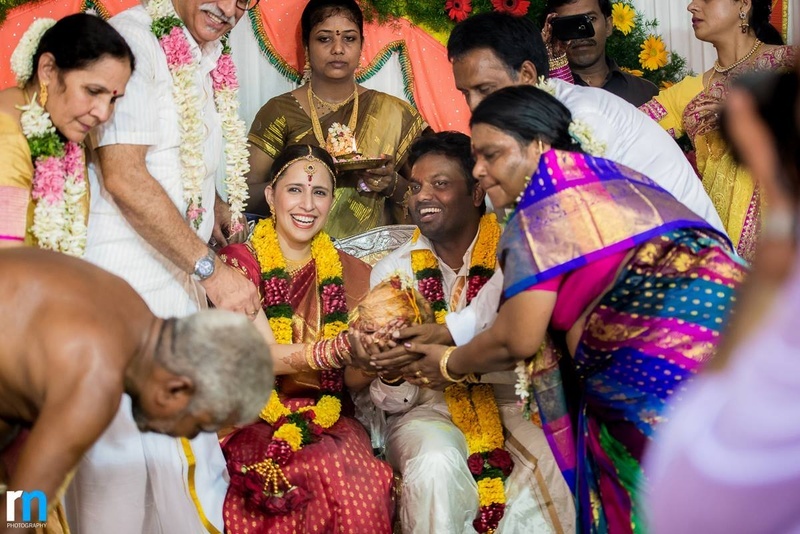 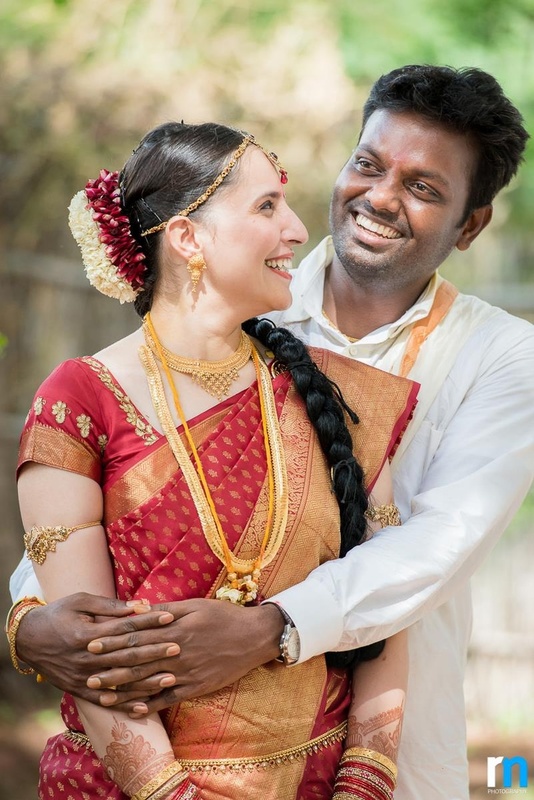 As both Shveta and Prasad come from completely diverse cultures so they opted to do their wedding in an authentic Tamilian way. 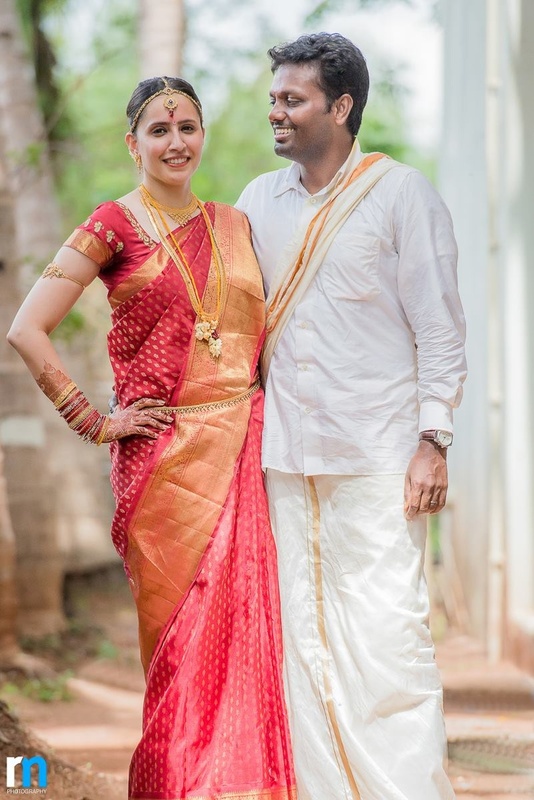 Right from the pure kanjivaram Silk Sarees' to the classic white and gold silk dhotis, not only the bride herself but her entire family loved this transformation, too. 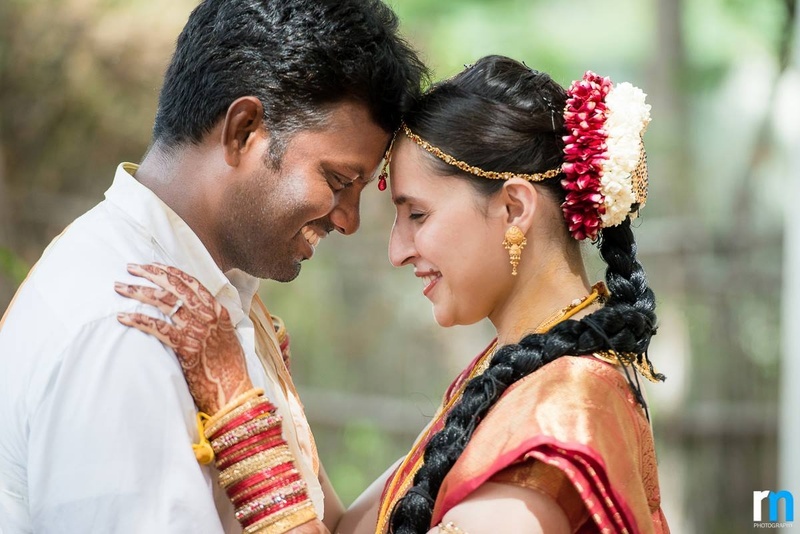 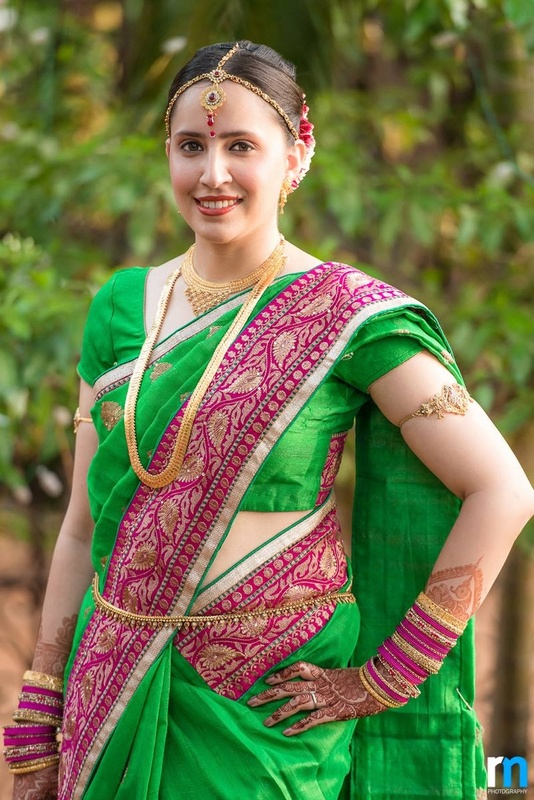 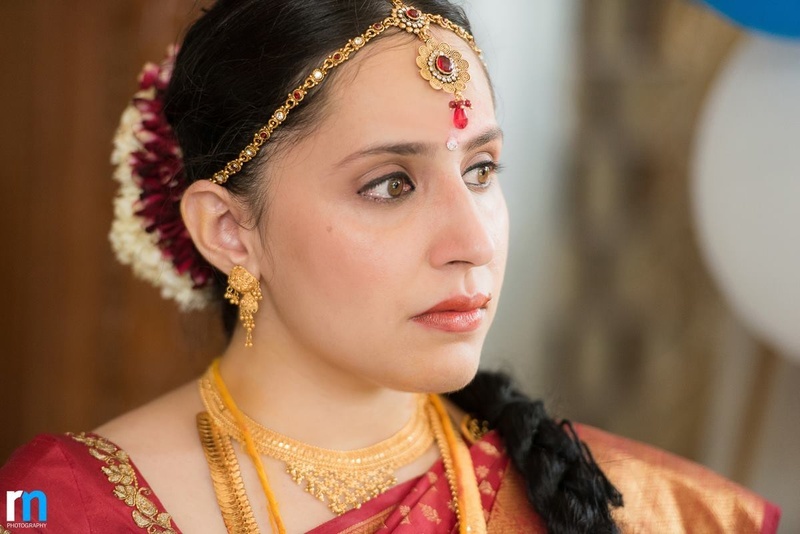 For the wedding Shveta donned a gorgeous red kanjivaram silk saree that had intricately woven gold buttis, and styled her look with delicate gold jewellery which added the perfect amount of grace. 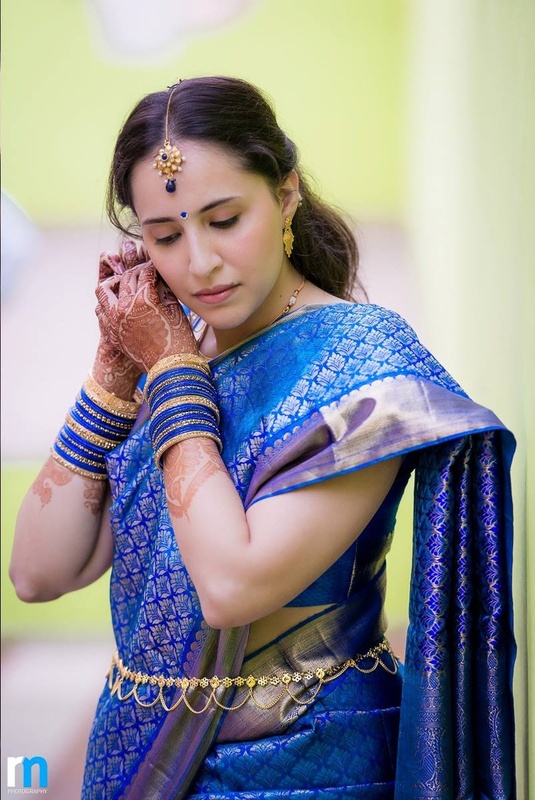 Don’t miss her other gorgeous royal blue engagement saree or the forest green kanjivaram silk saree as you scroll through this wedding album brilliantly shot by Rohan Mishra Photography. 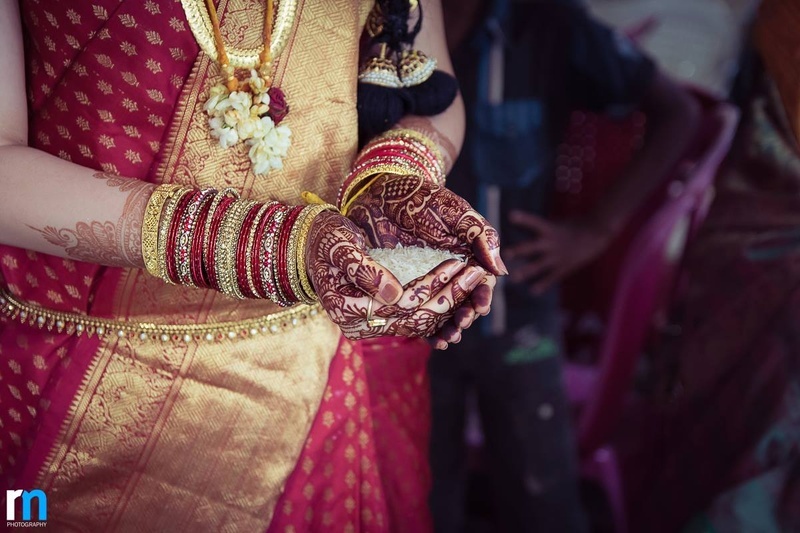 With all the stress of planning and execution, it becomes very hard for a bride to stop and enjoy the little moments, hence, the only piece of advice this stunning bride gives is to live and enjoy each moment!